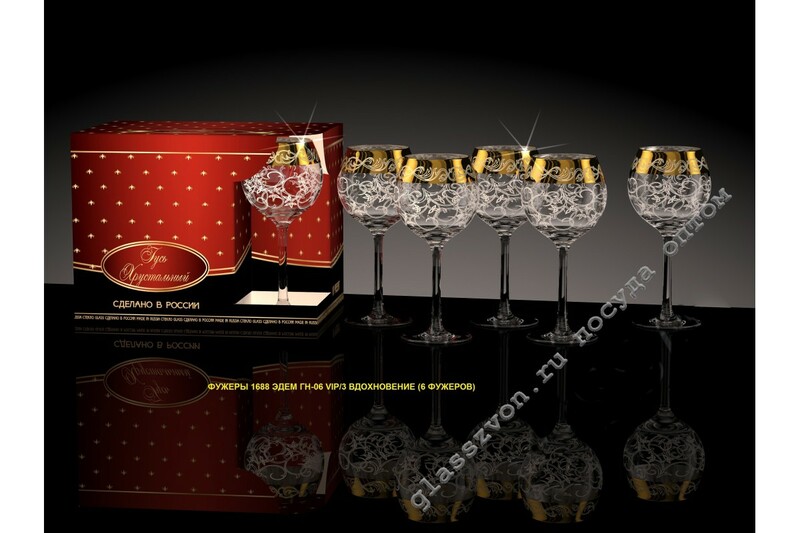 "Saturated and unique wine glasses , made of high-quality glass, will decorate any restaurant and cafe. Colorful decoration of dishes, in the form of inspiring and inspiring patterns, will give every consumer an incredibly paradisiacal pleasure when consuming a drink. You can buy glassware with engraving and spraying just from us! We are a direct manufacturer of dishes with engraving, which allows us to thoroughly check the quality of the goods at all stages of its manufacture. Buying products from us, you will provide yourself a reliable supplier, get high-quality goods and excellent benefits! 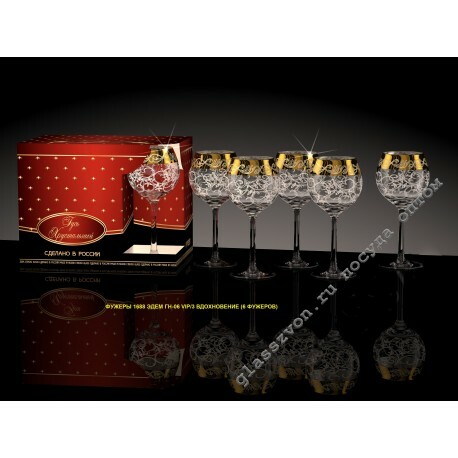 A set of goblets of goose crystal with engraved platinum - the best decision when choosing products!